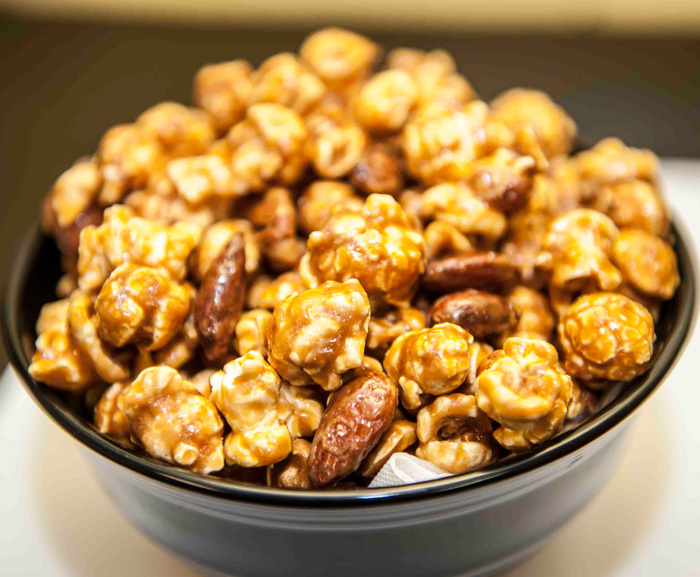 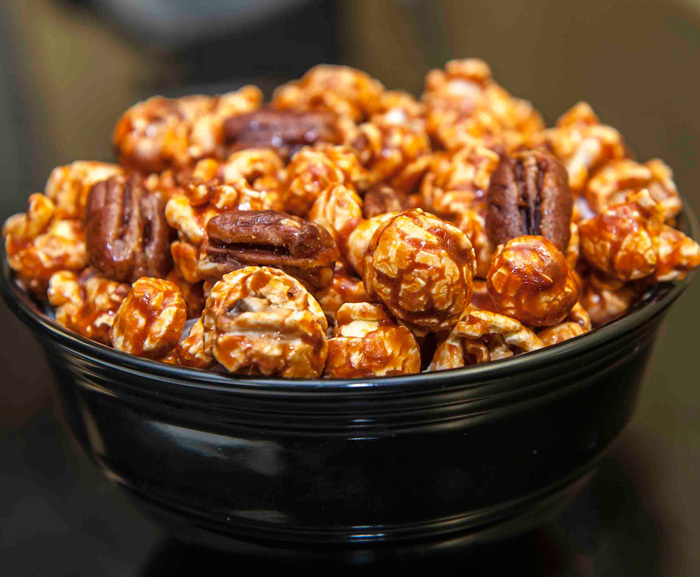 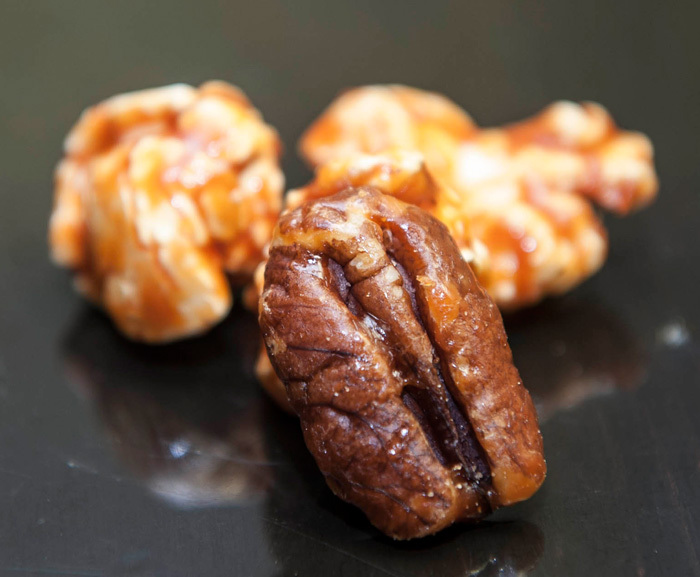 Small batch made, deliciously flavored, Pecans, Buttery popcorn with a hint of vanilla. 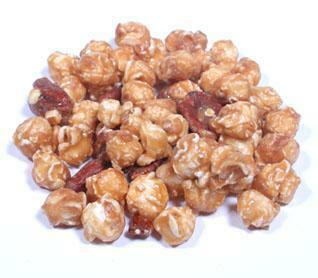 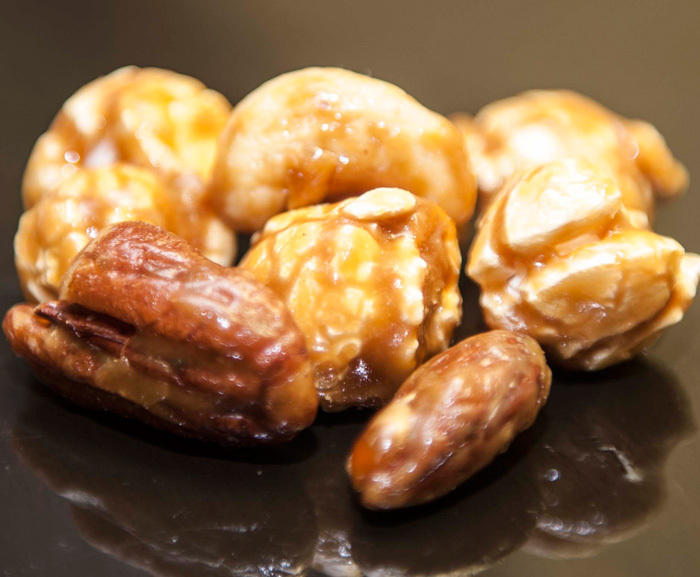 Small batch made, deliciously flavored, creamy, caramel, Peanuts, Pecans, Almonds and Cashews. 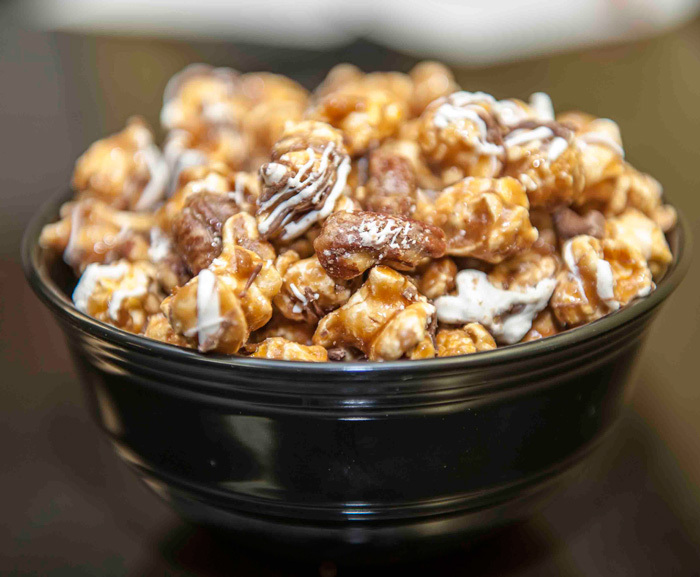 Made from a secret recipe including real butter, brown sugar and Madagascar Vanilla. 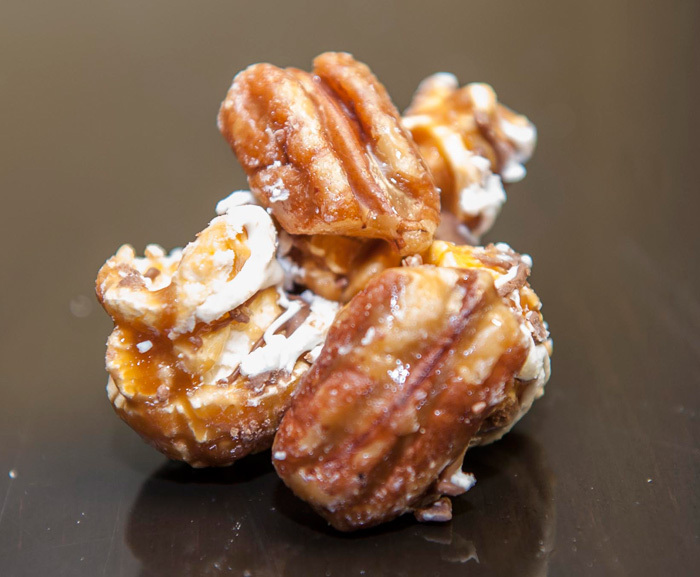 Small batch made, deliciously flavored, Pecans, Buttery Toffee.